As I previously mentioned I was recently influenced by Martha Stewart and a micro suede fabric flower tutorial. 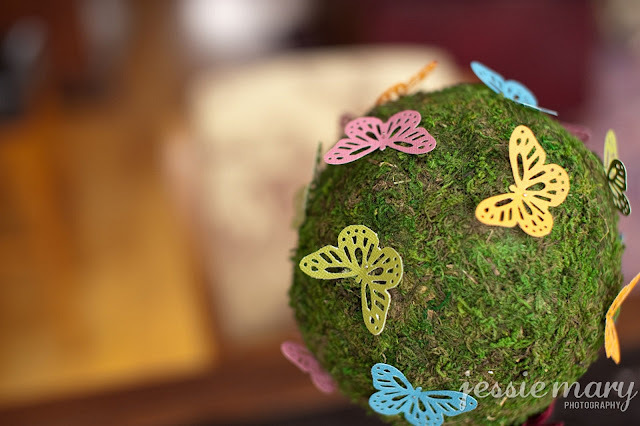 I used the flowers at the base of the topiaries that I made for our wedding centerpieces. 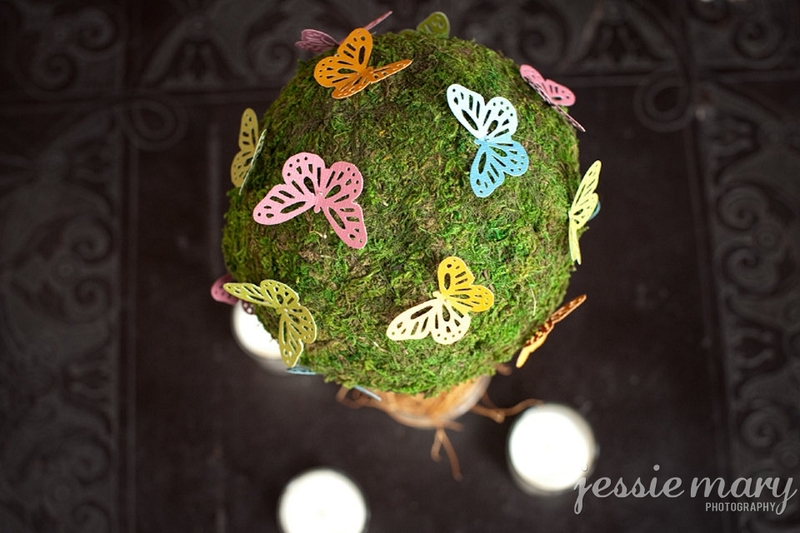 I bought the moss topiaries at a Michael's Craft Store in the flower arrangement section and using a Martha Stewart butterfly craft punch, I punched out different colored butterflies from textured card stock and pinned them to the topiaries. 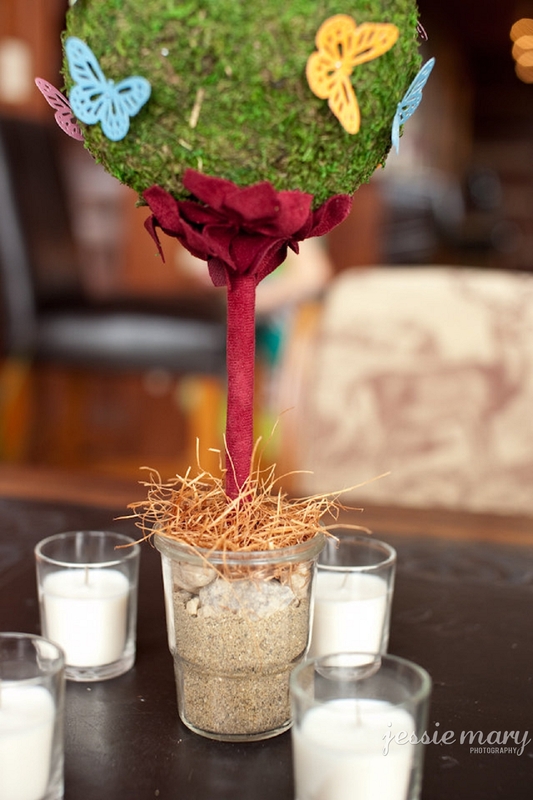 The base of the topiaries were mason jelly jars filled with sand and rock and a little bit of artificial straw grass. Simple and fun as they sat on tables surrounded by votive candles. 2012 will take you ANY WAY!